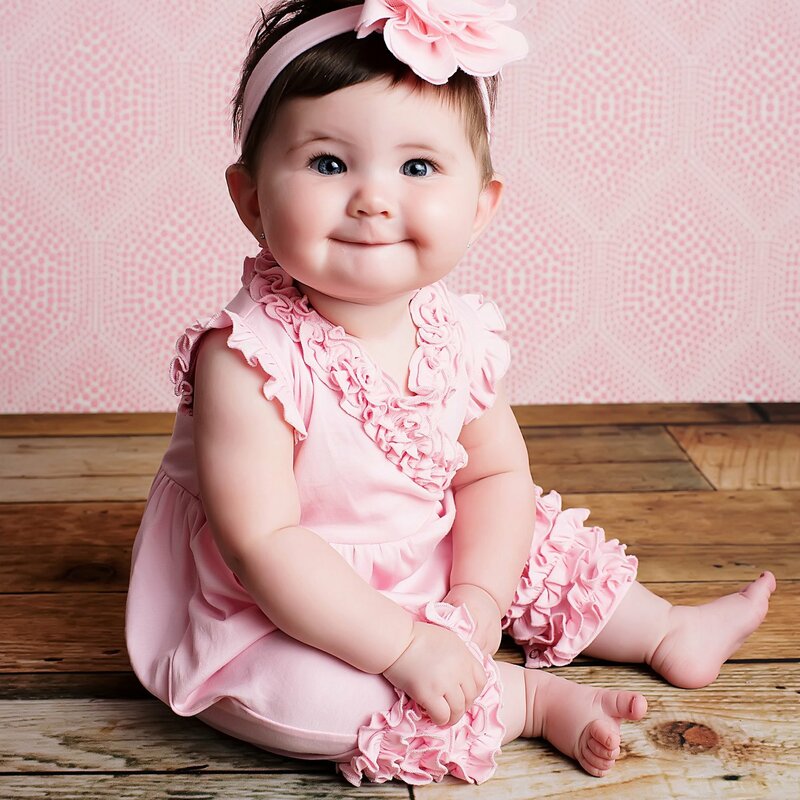 You'll just fall in love with the pink "Ava" romper by Lemon Loves Layette. 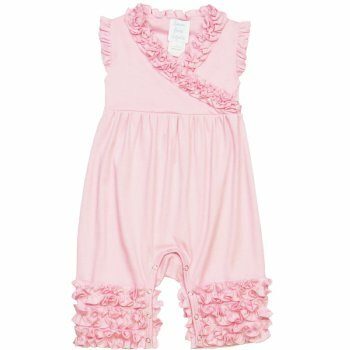 Similar to the popular "Olivia" baby romper but with short sleeves, it's just perfect for baby's spring and summer wardrobe. 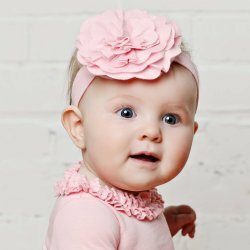 Little ruffles at each shoulder give baby just a little coverage and tie-in beautifully with the ruffles down the front and and at the ankles. 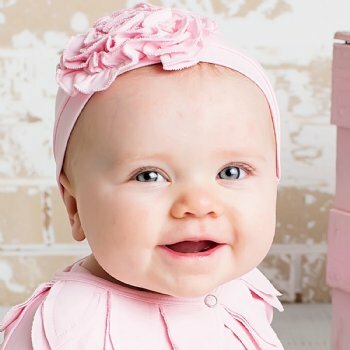 The beautiful pink color coordinates perfectly with other separates from Lemon Loves Layette for endless possibilities. This is a great "Take Me Home" set in the smaller sizes and also just perfect for special occasions. A great baby shower gift as well. 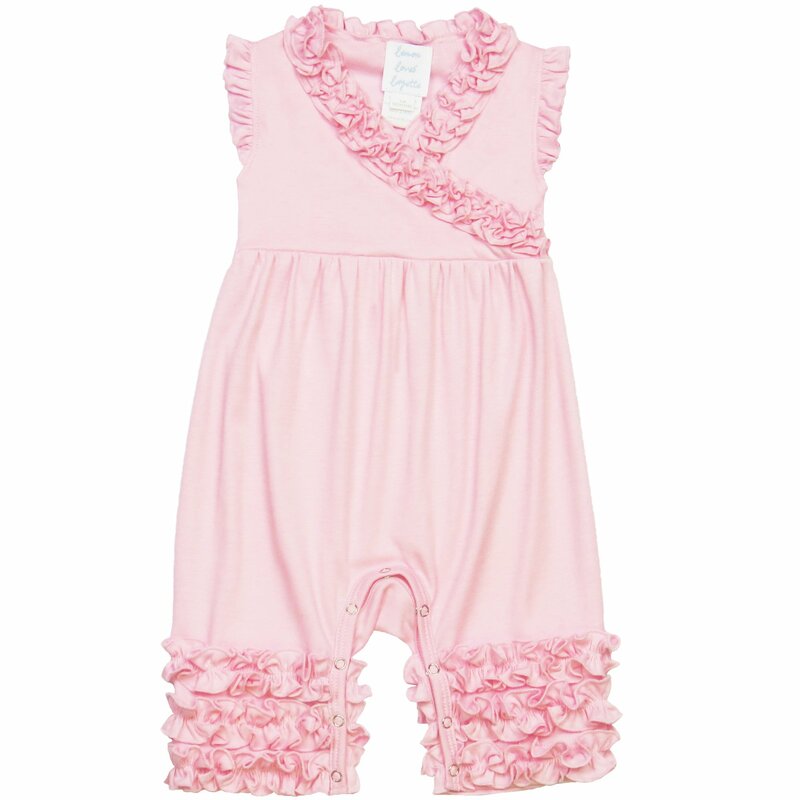 Shop the entire "Ava" Romper Collection here and see all the available colors. 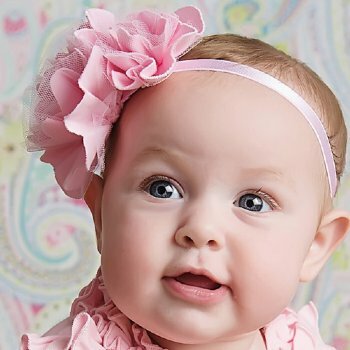 Size: Select One 0-3 mos. 3-6 mos. 12-18 mos 18-24 mos.